Neighbourhood Support has come a long way from the original Neighbourhood Watch model which had a strong focus on preventing crime. While that is still one of the important roles, there is a new emphasis is on developing and nurturing connections between neighbours and communities. 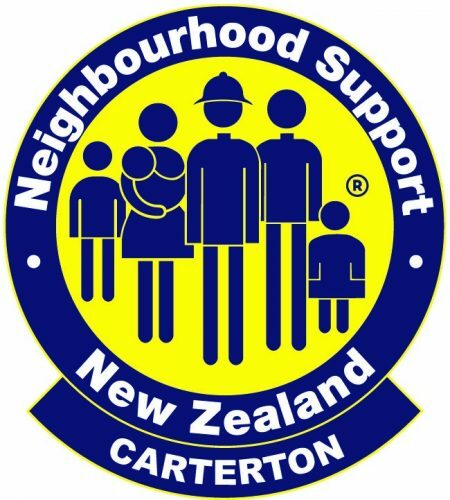 Carterton Neighbourhood Support Coordinator, Sue Tennent, explains that “there are now three essential purposes for Neighbourhood Support groups – helping neighbours, keeping an eye on each other’s homes and property, and helping people get ready for a civil emergency”. With about 800 households involved in Neighbourhood Support in the Carterton District, the focus on emergency preparedness has been instrumental in equipping our community. 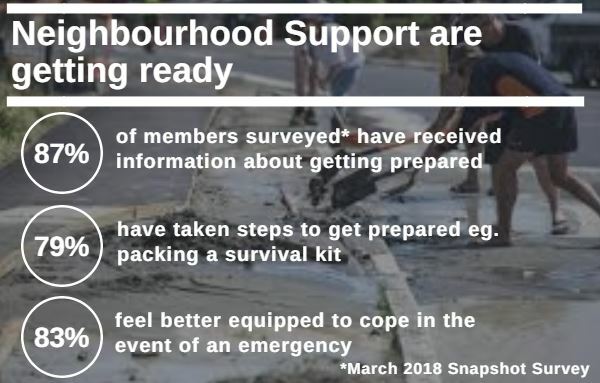 A recent survey of Neighbourhood Support groups showed that 87% of respondents had received information about getting prepared, 79% had taken steps to get prepared eg. by purchasing a water tank or packing an emergency survival kit, and 83% felt better equipped to cope in the event of an emergency. upport Group to ensure they receive the appropriate information and are prepared”.